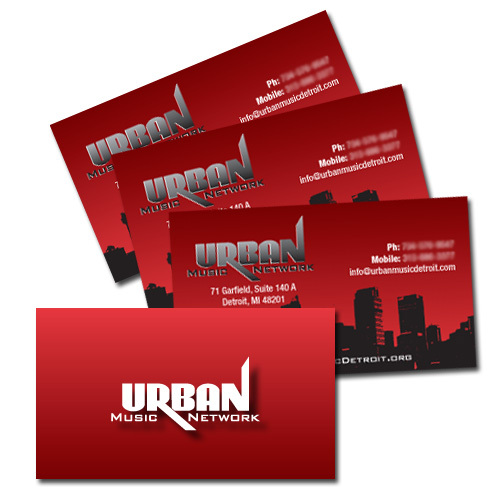 Spot UV Coated business cards are another option to stand out from the crowd. 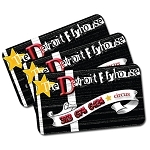 As the name suggests, UV high gloss coating is applied to only the chosen areas of the print. Giving a nice gloss highlight to the spot coated area. The cards are printed on our thick 16pt matte stock. We apply the spot UV coating on C2S (coated 2 sides) card stock. 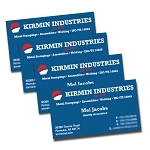 We cannot apply spot UV on uncoated cards or linens, envelopes or letterheads. Design notes: When creating a Spot UV job, You must include a Spot UV template file along with the regular full color file. The Spot UV template file is used to show where the UV will be placed. Use 100% K to indicate where you would like the UV. White will indicate no UV. No feathering or fading, just solid 100% K.